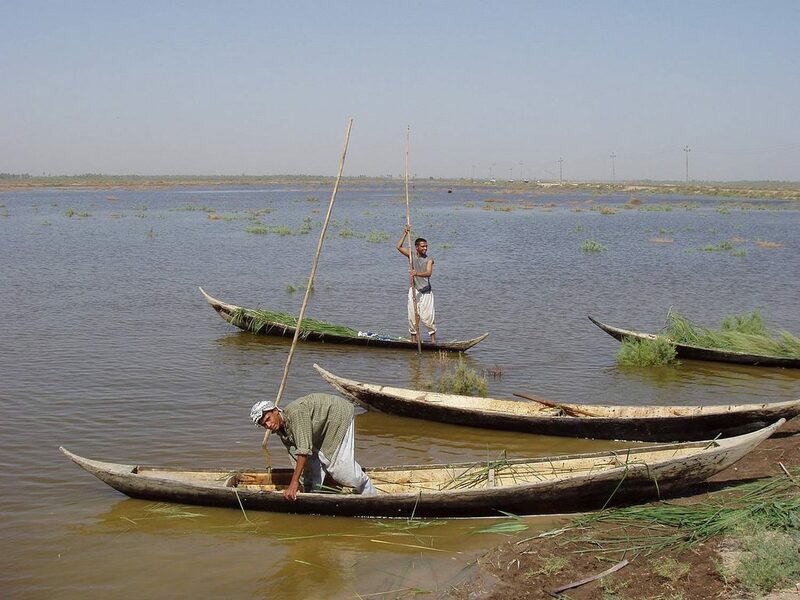 Photo 1: Iraqi men conduct marshland restoration by boat ( Source: USAID, Flickr). By 2002, the marshes had shrunk to 1,600km2 or 14% of their size in 1970s. Conditions in 2002 are considered to be the lower limit of the marshlands’ extent. Hammar Marsh was almost completely dry. Map 1 shows satellite imagery of the marshes taken before and after major desiccation projects were implemented. Map 1: Satellite images of the marshlands taken in 1972, 1990 and 1997. 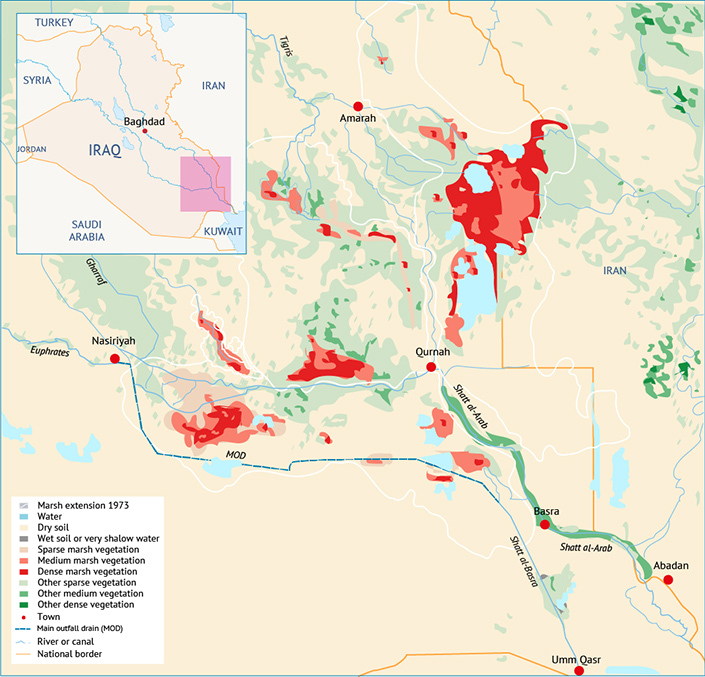 Following the invasion of Iraq by coalition troops in 2003, the people who had remained around the fringes of the dried-out marshes did not wait for Baghdad to fall to begin re-flooding. The first two levees to be breached were close to Basra, at the tail end of the Hammar Marsh. Water flowed up from the Shatt al-Arab River to the lower reaches of the Hammar. Further west, along the south-westerly side of the Central Marsh, the locals asked the manager of the irrigation district to use his equipment to breach the embankments. This allowed water to re-flood the Abu Zirig Marsh. Similarly, the locals in the northwest corner of the Central Marsh prevailed upon the operator of the pumping station to stop pumping, causing the marsh to flood. 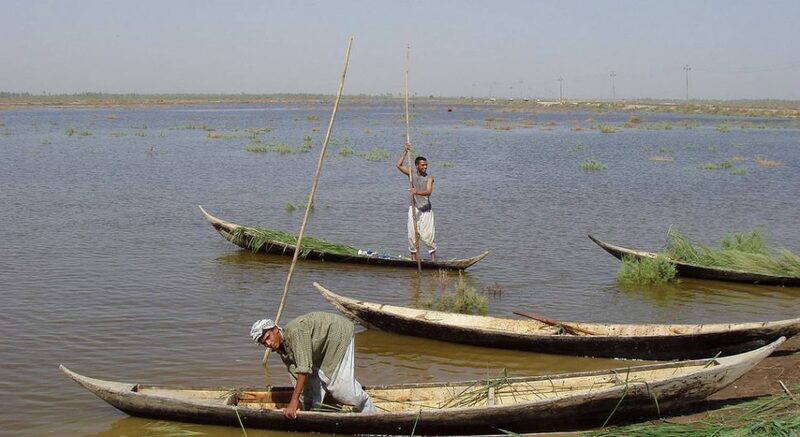 Three breaches were also opened in the left levee of the Euphrates, allowing water to flow into the Central Marsh, and around Hawizeh Marsh various dykes and levees were opened. 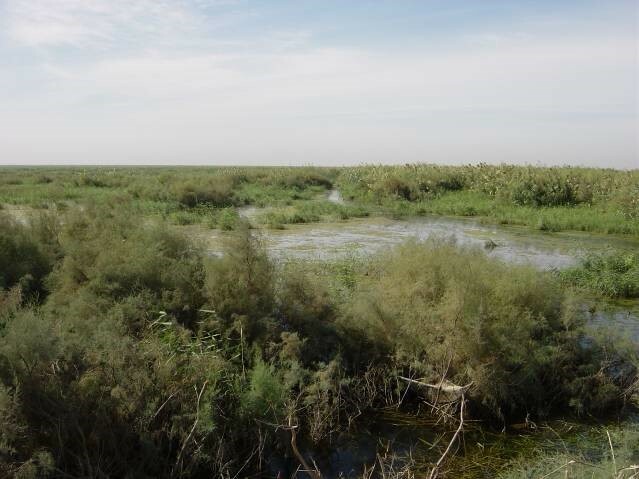 At the same time, the central government acknowledged the importance of providing institutional support to the wetland area, and the Center for Restoration of the Iraqi Marshlands (CRIM) was established in January 2004. The CRIM’s short-term goal was to support the implementation of proposals for marsh restoration, following several donor investments in the area. Marsh rehabilitation efforts included re-flooding and monitoring; research; planning; training and capacity-building; and establishing international agreements. Further, several groups initiated projects to increase the prosperity of the marsh dwellers. The CRIM’s final target was the preparation of a Sustainable Restoration Plan. Evaluate the success of wetland restoration and its impacts on the regional environment, including that of the northern Persian Gulf. The main tool used for the implementation of IMOS was based on remote sensing-derived vegetation analysis. The resulting images, updated on a weekly basis, provided the measurement of open water and marshlands vegetation coverage, as shown in Maps 2 and 3. Map 2: Land cover map, 24 May 2003. Photo 2: Early growth of reeds mixed with desert scrub in the Hammar Marsh, September 2003 . Photo 3: Marsh dwellers returning to the Central Marsh, 2004. While the remote sensing observation programme implemented by UNEP was ended in 2006, the New Eden Team continued the project, using similar methodological approaches. Monitoring was based on satellite images collected every month from December 2007 until October 2008. Map 3: Land cover map, 24 May 2005. United States Geological Service pictures, from New Eden Group (2006). New Eden Master Plan for Integrated Water Resources Management in the Marshlands Area. Final report prepared for Iraq’s Ministries of Water Resources, Municipalities and Public Works, and Environment. Powers, K. (2004). 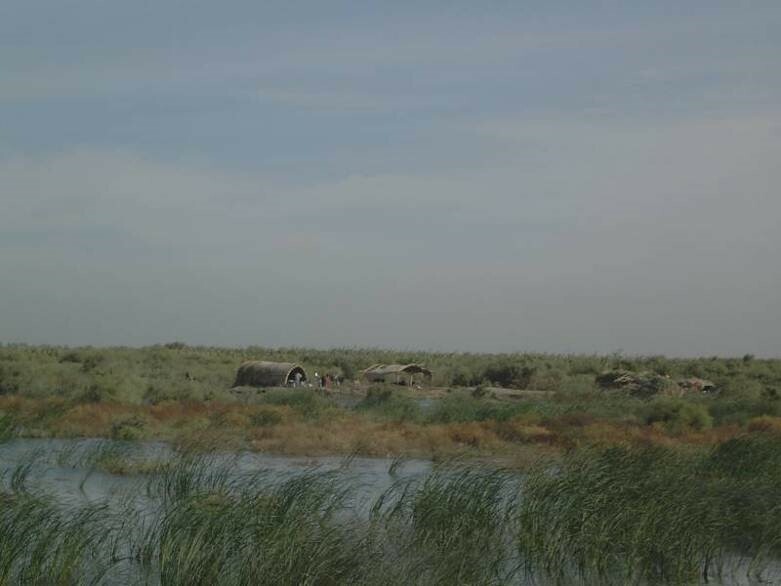 The Iraq Marshes: Restoration Activities. CRS Report for Congress. Available at http://congressionalresearch.com/RL32433/document.php?study=The+Iraq+Marshes+Restoration+Activities, accessed 10 February 2017. UNEP (2003). 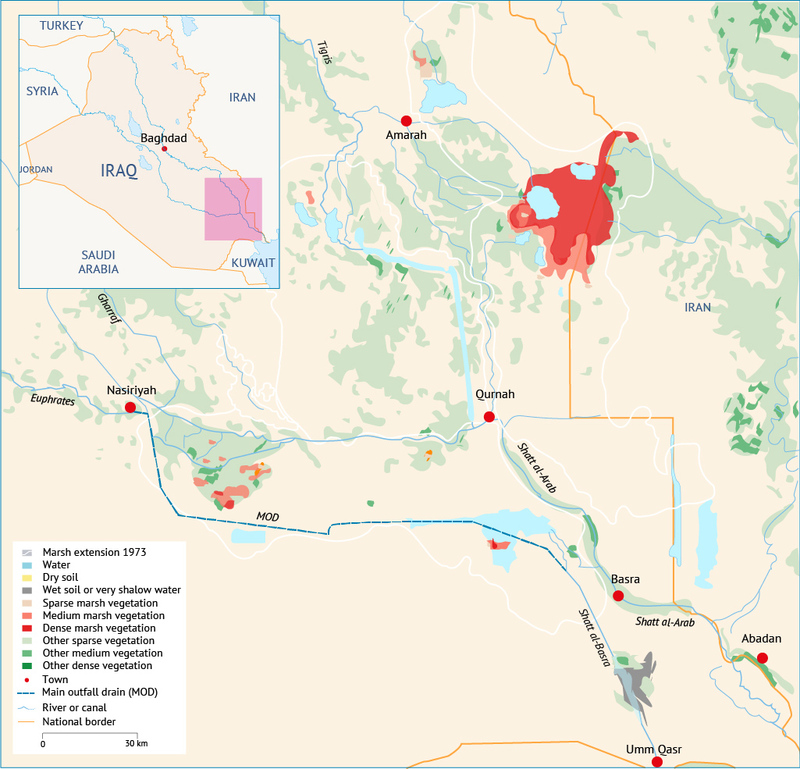 Iraq Marshlands Observation System (IMOS). Available at: www.grid.unep.ch/activities/sustainable/tigris/mmos.php, accessed 10 February 2017. New Eden Group (2006). New Eden Master Plan for Integrated Water Resources Management in the Marshlands Area. Final report prepared for Iraq’s Ministries of Water Resources, Municipalities and Public Works, and Environment.